The New Hampshire chapter of Speedway Children's Charities (SCC) is excited to announce that PPG will once again be the sole sponsor of the organization's annual SCC Red Bucket Brigade and Track Walk events in 2017. PPG has been a generous supporter of SCC New Hampshire since 2010. The SCC Track Walk, an annual fundraising event, allows participants the unique opportunity to experience a walk around the one-mile New Hampshire Motor Speedway track. The Red Bucket Brigade is made up of SCC volunteers who pass red buckets through the grandstands and collect contributions from race fans. 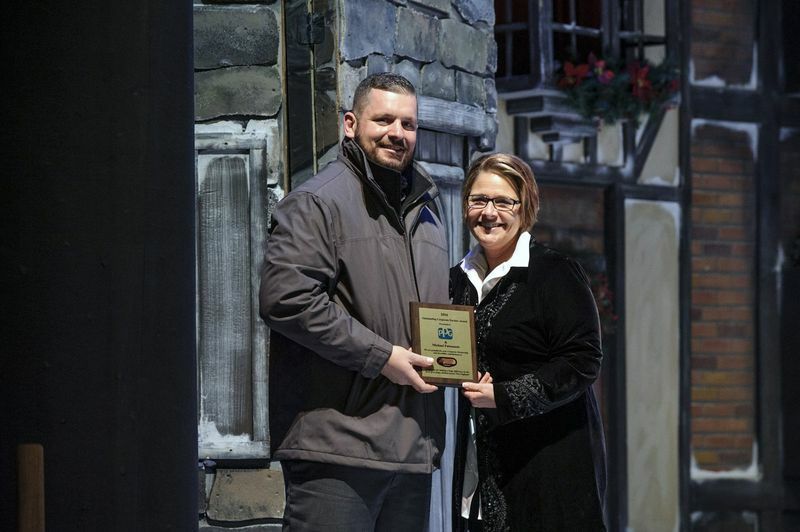 In December, SCC New Hampshire honored PPG by naming it Sponsor of the Year for 2016. The announcement was made by chapter director Cheryl LaPrade at the chapter's annual grant distribution ceremony. Michael Patenaude, PPG regional sales manager, accepted on behalf of PPG. It was the second time in three years that PPG has been recognized as Sponsor of the Year. "It's an honor and a pleasure for us to recognize PPG's exceptional support," said LaPrade. "Without question, PPG is one of our top sponsors. Since PPG started working with us, the company's support has been consistent and critical to our success in helping children in need across New England. We are sincerely grateful to PPG and look forward to a continued and positive relationship." "This is quite an honor," said Patenaude. "The work SCC does is so important to the kids it reaches and to our communities. We view our ongoing commitment to SCC as something that contributes significantly to the well-being of children, that what we do can make a difference. We are touched that the SCC has recognized us this way. We appreciated being named Sponsor of the Year, but it is second to the important work that SCC does." This year, the SCC New Hampshire Track Walk will take place on the evening of July 15, 2017. Race attendees will have the opportunity to add their spare change to the SCC Red Buckets twice this year, with the volunteers passing through the stands during the Monster Energy NASCSAR Cup Series races. The races will be held at New Hampshire Motor Speedway on July 16, 2017, and September 24, 2017. To learn more about PPG, visit www.ppgrefinish.com.